Ever since I started blogging one thing that has changed in my life is my new found love for skincare products. Never before have I taken so much time cleaning and protecting my skin in the hope that I can achieve a better complexion and delay the signs of ageing in the process. As with any good skincare regime the key is to start off with a perfectly cleansed face before applying all the lotions and potions to it. 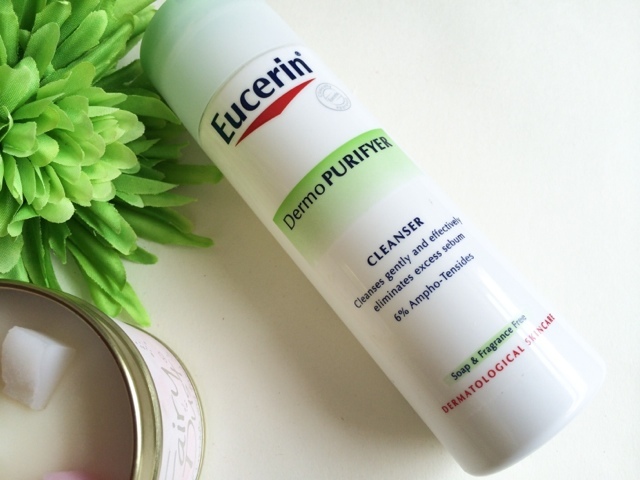 Eucerin Dermo Purifyer Cleanser is designed for blemish/acne prone skin, containing Salicylic Acid ( a well know spot fighting ingredient) that helps de-clog pores as well as neutralising bacteria, one of the main causes of spots and blemishes. The gel formula, which is soap and fragrance free feels light, and the smallest amount is needed to cleanse your whole face ( I realised this after the first use, as I resembled a foam monster! lol note to self... a little bit goes a long way!). 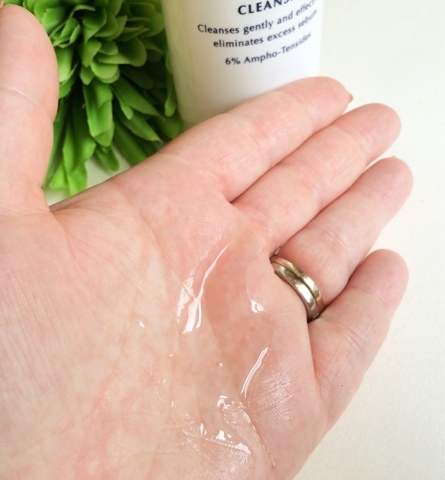 Some gel cleansers can leave the skin feeling tight and dehydrated but this is designed to absorb excess sebum while still leaving the skin feeling clean and supple, which I can say it definitely did! I have been using this as my second "wash off " cleanser at night and in the mornings to clean any dirt and products from my nigh time routine, and I can say that my skin was left feeling squeaky clean, (I use that as a term of phase and not in the literal sense) and refreshed. As for fighting spots and preventing blemishes I think I can say that it has helped a little, but in all fairness my skin and I have had a major fall out recently and we are still not on speaking terms so it would be unfair to say this doesn't work as I'm yet to find anything that does work! What I can say is that my problem is with cyst like spots which don't really relate to the bacteria type spots like white/black heads, the types that have pus drawn up to the surface (I know TMI!! lol). Since using this I haven't had any of these types of breakouts and the ones I do get seem to get dry up a lot quicker then they used too and I think this has something to do with it! If you're interested in trying this or any other French skincare brand, Ecsentual currently have 1/3 off throughout the whole of June, so grab yourself a bargain while you can! 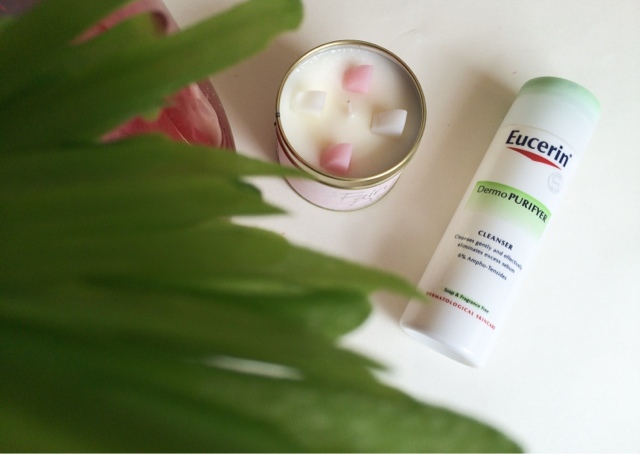 We do like gel formula products :-) Heard so many great things about Eucerin brand.